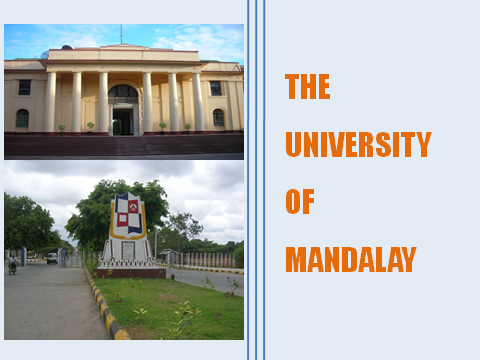 The University of Mandalay (UM) is the second largest and second oldest university in Myanmar. As the vision of the UM is to emerge as a leading research university in Myanmar, it has been focused on producing quality research in various disciplines since 1999-2000, after starting PhD program. Broadly, there are about 5 or 6 clusters of research of 22 departments from the close disciplines. Since 2010, the country has been open to the world and the UM has taken this opportunity to expand the academic collaboration with the regional partners as well as Australian and European universities/ institutions including CEU. Moreover, UM is encouraged by the Ministry of Education and the Department of Higher Education not only to produce qualified researches but also to increase research collaboration with the universities at the national level. At UM, a research area that is relatable to every scholar from both natural and social science is environmental related issues. Being in a political transition, the country still needs to take concrete steps to conduct pragmatic analysis on the environment and the researchers play important role in order to find the solutions and to set up the proper regulations. The UM would try to fill up that gap with the results from interdisciplinary researches.